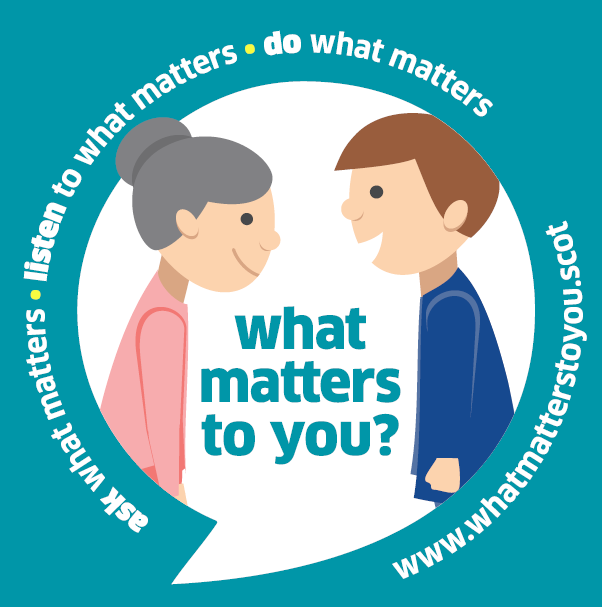 ‘What matters to you?’ day is an initiative developed by Healthcare Improvement Scotland which aims to encourage and support more meaningful conversations between people who provide health and social care and the people, families and carers who receive health and social care. WMTY day took place on 6th June this year, but they have provided free resources on their website for healthcare professionals to download and use all year round so that they can continue to ask this important question. One of our Me first Communication Champions Victoria Dublon, who is a Paediatric Consultant at the Royal Free Hospital, celebrated ‘What Matters to You?’ Day with her team on 6th June. They had a coffee morning and made posters with their own #WMTY questions. You can download copies of their questions below.